This guide will help you find reliable information on economics, in both print and electronic form. This guide is designed to help you find reliable, accurate information in the field of economics. Use the tabs at the top of the page to navigate through the guide. Social science analyzes and describes the consequences of choices made concerning scarce productive resources. Economics is the study of how individuals and societies choose to employ those resources: what goods and services will be produced, how they will be produced, and how they will be distributed among the members of society. Economics is customarily divided into microeconomics and macroeconomics. Of major concern to macroeconomists are the rate of economic growth, the inflation rate, and the rate of unemployment. Specialized areas of economic investigation attempt to answer questions on a variety of economic activity; they include agricultural economics, economic development, economic history, environmental economics, industrial organization, international trade, labour economics, money supply and banking, public finance, urban economics, and welfare economics. 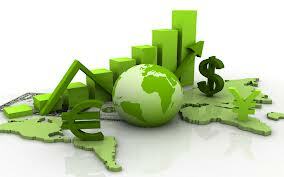 Specialists in mathematical economics and econometrics provide tools used by all economists. The areas of investigation in economics overlap with many other disciplines, notably history, mathematics, political science and sociology. 11 Global Debates, Celebrating 10 years of the Global Economy and Development program. The Global Economy and Development program has become a source of innovative thinking on how to improve global economic cooperation and fight global poverty and sources of social stress. One of the missions of the Hutchins Center on Fiscal and Monetary Policy at the Brookings Institution is to improve public—and congressional—understanding of major budget issues confronting the U.S. To that end, they've boiled the facts about the outlook for the federal debt down to a three -minute animated video in which the recent ups and downs are traced and projections for federal borrowing over the next decade are presented.